I’ve now officially contributed twice to the highest grossing motion picture in history. I had the opportunity to go out to the movies the other night, and I had a lot of choices, including a remake of 21 Jump Street I’d heard was quite funny, and a reunion sequel to American Pie, but my decision in the end was determined by a film whose experience I couldn’t replicate at home: James Cameron’s 3D post-conversion of Titanic (1997). 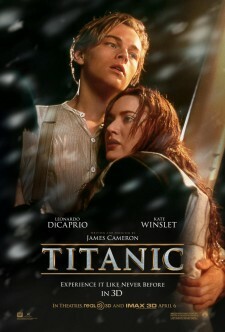 The last time I saw Titanic was in the theaters fifteen years ago. It’s not that I hadn’t enjoyed it; I had always meant to see it again. I’d even picked up a DVD at one point (okay, so I contributed thrice), but I’d never unwrapped it. My recollection of it was that it was technically brilliant, but flawed in many ways. I just never felt that compelled to revisit it. Cameron’s year-long, $18 million 3D conversion gave me a good excuse to do just that. The Scorpion King 3: Battle for Redemption, the latest direct-to-video sequel to the 2002 prequel to The Mummy Returns that featured Dwayne “The Rock” Johnson in his first lead role in a film, is set to hit store shelves this week and Universal Studios Home Entertainment has released several preview clips from the film. You can watch all six videos, including a trailer and a behind-the-scenes clip, here below. 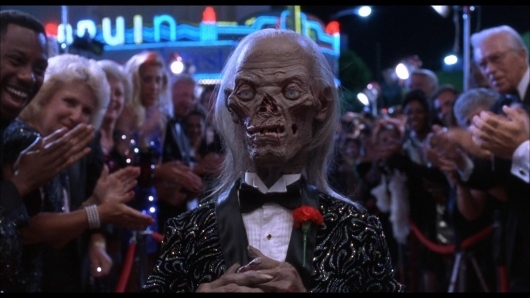 I am an old fashioned type of moviegoer. I like my gun battles hyper kinetic and unrealistic, and my main characters to be no nonsense do-gooders with shades of gray. I also like buddy-buddy action movies but that is neither here nor there. My point is, there is nothing wrong with a movie filled with mindless shoot-em-up gun battles, and unrealistic scenarios. If you are a fan of this type of movie, then perhaps The Man Who Came Back is right up your alley. 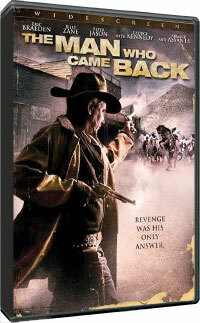 Set years after the end of the Civil War, Eric Braeden stars as local legend and war hero Resse Paxton. Paxton is accused of hanging a recently freed black by the racist mayor Billy Duke (James Patrick Stewert) and sentenced to jail. When the mayor and his cadre of ruthless thugs murder both his wife and son in front of his eyes, Paxton has no choice but to take revenge on those who are responsible as The Man Who Came Back.